Sheila Williams Ridge, MA, has a BA in biology from University of Minnesota and an MA in education from Concordia University, St. Paul, Minnesota. She is the director of the Shirley G. Moore Lab School at the University of MN and an instructor for the Institute of Child Development. She is also an adjunct professor for Hamline University in St. Paul, MN. Sheila serves on the governing boards for the Natural Start Alliance, the Minneapolis Nature Preschool, and the Friends School of Minnesota. 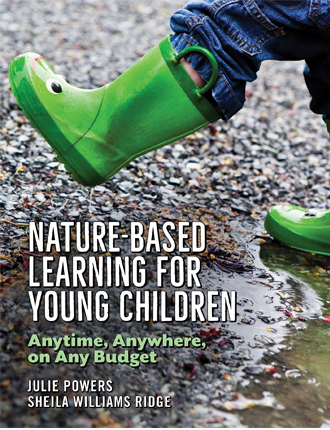 Increase opportunities for nature-based education in any early childhood program, regardless of climate, region, budget, or experience.